SantasHideout.com: Mom’s Secret Weapon This Holiday Season! I am so excited to introduce all you moms (and dads, grandparents, friends...everyone!) to Santa's Hideout! 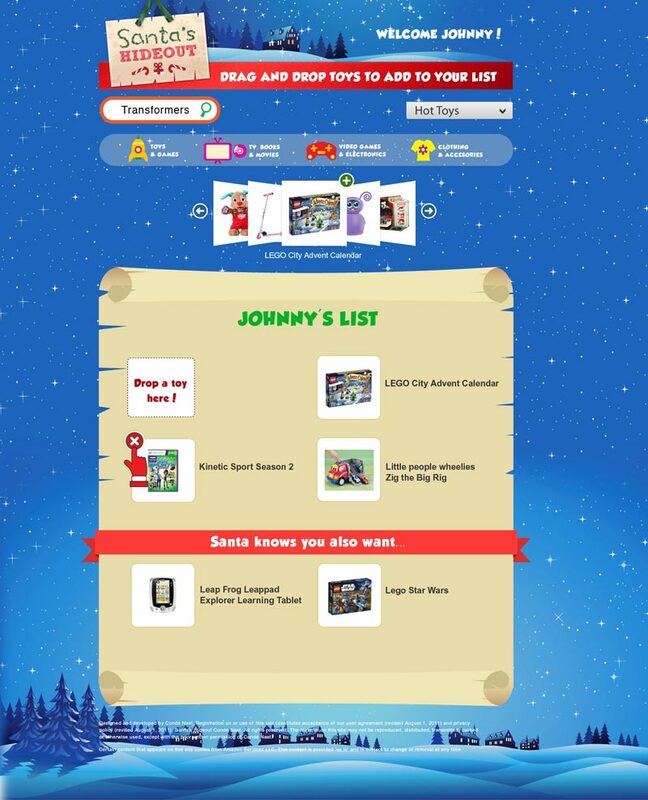 This new FREE site allows your child to create holiday gift lists to send to "Santa". You have access to these lists and can send them to all your friends and family electronically. Think of it as a kind of registry, everyone can keep tabs on what has been bought and what hasn't! Step 1: In just a few simple steps, parents can create a private, password-protected account and set up individual lists for each child to fill. Lists can be controlled and customized by setting parameters that include gender, number of gifts, price range, types of gifts, quantity and more. Group lists can also be created for those gifts the whole household might share. Step 3: The child can respond by adding gifts, using a fun, easy-to-use drag and drop interface, and parents are alerted when updates have been made to a list. That’s it, set-up is complete! Everyone can easily purchase items on the child's wish list via Amazon. If you'd prefer to purchase in-store, you can still "check it off the list". Here's what the kids see! Santa's Hideout is optimized for mobile use too, so you can access the lists while you're out shopping so you don't forget anything! Click here to check out the Hideout! 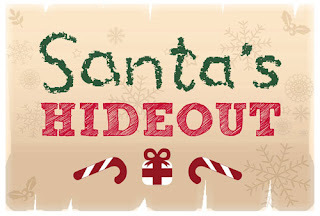 Feel free to visit Santa's Hideout on Facebook or follow them on Twitter to stay up-to-date on any new features and announcements! They're even on Tumblr and Google+!